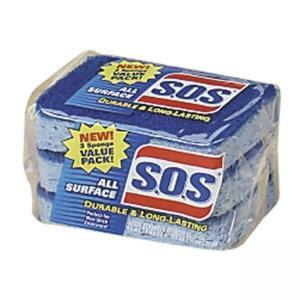 Sponge Scrubbers cut through the toughest messes on all surfaces. Perfect for nonstick cookware. Easy-grip shape is easy to hold.